Sunita Jogarajan is Co-Director of the Tax Group at Melbourne Law School, where she teaches and researches in taxation law. Sunita's primary research interest is in the influence of the League of Nations on international taxation, particularly the development of model tax treaties. Sunita also researches in Australian corporate tax and tax administration. She has previously written on the role of the IMF on tax reform and the integration of tax regimes in ASEAN member countries. 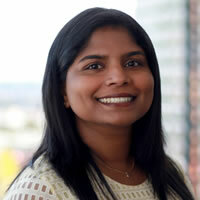 Sunita previously worked at a 'Big 4' tax practice in corporate tax and tax policy. She has been involved in a multi-billion dollar international due diligence, engagements for regional governments and policy advice. Sunita is a previous recipient of an Australian Learning and Teaching Council citation for 'outstanding contribution to student learning'. Sunita is the Associate Dean (Breadth) at Melbourne Law School. She is also Co-Director of Studies (Tax and International Tax) and the Chair of the Law School's Undergraduate Committee. Sunita is also a member of the University's Teaching and Learning Quality Assurance Committee (TALQAC).